While traveling in zones where the undead have spread to critical numbers, survivors must have a system of communicating especially dangerous territories. Writing directions on billboards was a perfect system... for a while. We're not sure how they did it, but the darned zombies learned how to read! They've figured out whole maps of where to navigate and find the supposed "safe" zones that we had been depending on. So, we needed a new plan. Turns out that while the undead know a few key words, they are surprisingly lacking in recognizing imagery. 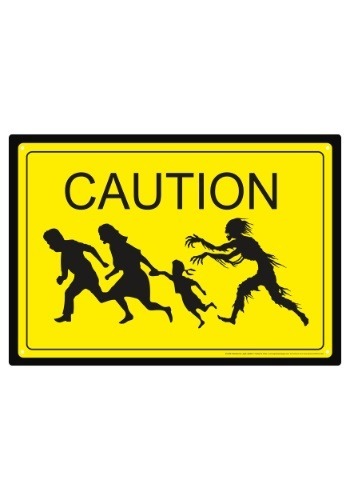 So, our new Zombie Caution sign is the perfect solution. 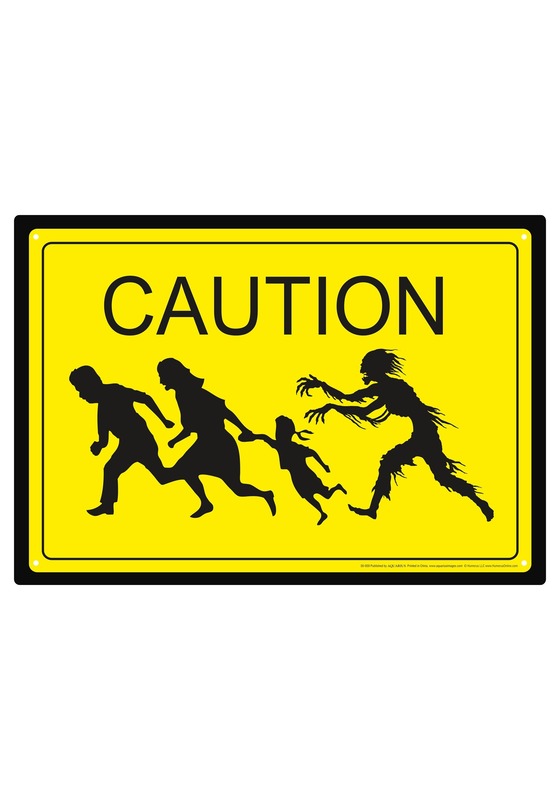 The single word "CAUTION" appears on a bright yellow background — not much to warn the zombies about, there — and features shadows of folks fleeing the zombie menace underneath. It's classic. It's clear. It's atmospheric! And, at least until zombies learn to draw, it's useless to them! Ha! Until we can get around to rewriting all of the billboards to give false information to our little undead problem, these signs are a key way to keep the menace off your front porch. And, in the meantime, this Caution sign makes for a surprising match for just about any home decor!